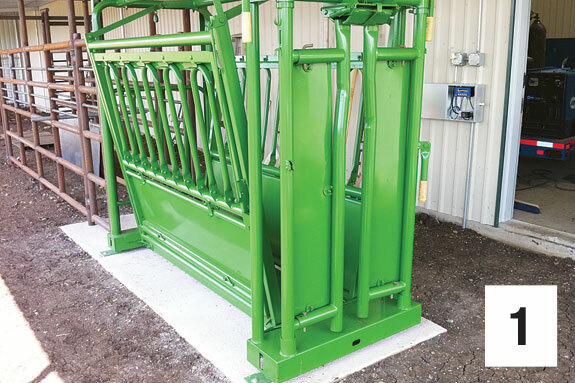 Livestock platform scales are viewed as a luxury by some cattlemen, while others consider them a necessary piece of equipment. Their importance depends upon ranch management goals and selected herd performance measurements. 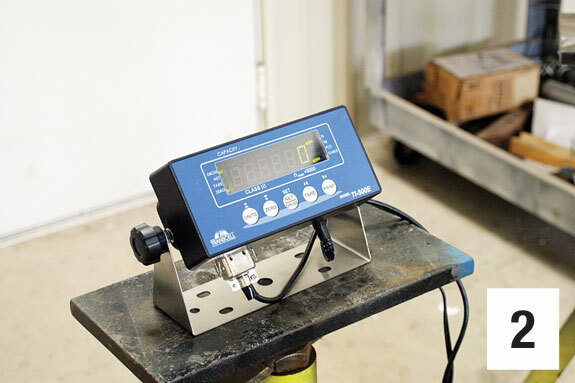 “Weights at birth, weaning and yearling ages are important expected progeny difference (EPD) measurements, so livestock scales are a must for seedstock producers,” says Dr. Rick Machen, Texas AgriLife livestock extension specialist at Uvalde. “Scales will probably pay for themselves on large commercial operations if dewormers or antibiotics are used on a regular basis,” says Dr. Joe Paschal with Texas AgriLife extension service at Corpus Christi. “The ability to measure performance is a key component in all beef cow operations,” write John Arthington and James Stice. “Regardless of size, producers must be able to identify the current status of their operation in order to make adjustments toward improvement. “It’s a good idea to weigh cattle every time they are worked, but the most important weights are birth and weaning,” says Paschal. “Birth weight is one of the factors that determine calving ease, but more importantly, birthweight is the starting point for measuring growth. The difference between birth and weaning weights is a measure of the cow’s ability to raise a good calf. These weights help identify cows for culling and indicate whether calves have received the right nutrition. “Weaning weight is one of the most important, although most abused, measurements of cowherd performance,” write Arthington and Stice. “Weaning weight is calculated in many ways; therefore, it is essential that a producer understand the method of calculation when attempting to estimate his or her production efficiency. “Calf age is an important consideration when calculating weaning weight. Significant variation in weaning age or breeding season can affect the reliability of using weaning weight to measure cowherd productivity. One method of accounting for this variation is adjusting weaning weight to a constant age. A commonly used weaning age adjustment is 205 days. To adjust, simply calculate calf gain by subtracting the calf’s birth weight from its actual weaning weight. “It is recommended that cows be weighed at the same time as calves,” write Tom Troxel and Bill Wallace. “The cow weight is used to calculate weaning percentage of their bodyweight. Generally, cows that wean a high percentage of their bodyweight are more efficient and profitable than cows that wean a low percentage. “Weaning percentage is the calf’s adjusted 205-day weight divided by the cow weight times 100. Mature cows should wean 50 percent of their bodyweight when their calves are 205 days old. As cows have increased in size, it has become harder to accomplish that goal. “As cow size increases, the efficiency percent usually decreases,” write Troxel and Wallace. “There’s also a negative relationship between efficiency percent and calf breakeven (cost of producing a pound of beef). 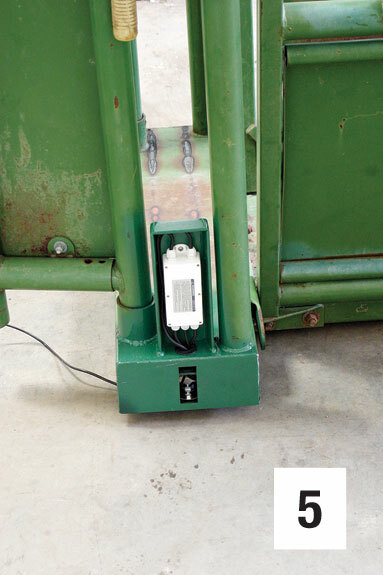 “Livestock platform scales are composed of three primary parts – indicator, platform and load bars,” says Terrell Miller of Cattlesoft Inc. “Indicators for platform scales come in various degrees of sophistication and in three different price categories. Miller usually recommends an indicator from the middle price range and sells the most units from this group. These indicators, costing between $1,200 and $1,500, are ideal for basic weighing with electronic identification reader integration. They have internal memory that can be downloaded into a computer format for additional analysis. Indicators ranging in price from $2,000 to $5,000 are the most expensive and comprehensive. They allow recording and viewing complete animal history while cattle are being weighed. Reports and graphs can be designed right on the indicators. Load bars, containing sensors, are designed for use with platforms, crates, cages, in alleyways or in squeeze chutes. They currently cost between $1,100 and $1,800. Livestock platform scales are beneficial technology for cow-calf operations if a ranch is large enough to produce a positive return on the investment. The purchase price must fit the ranch budget and the scale must result in a positive change in profits for it to be a wise buying decision. References omitted due to space but are available upon request.Click here to email an editor. 1. A squeeze chute with sensor bars underneath. 2. A scale indicator with digital read-out. 3. 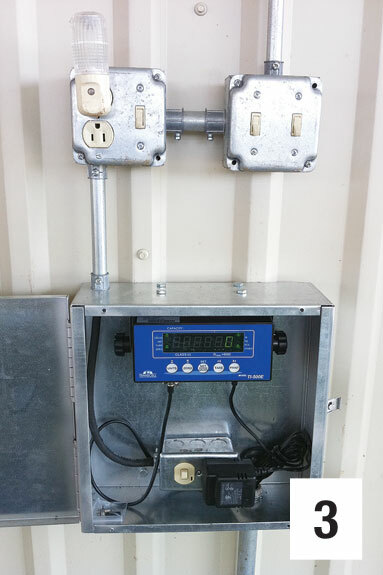 Indicator mounted in waterproof box on side of barn a few feet away from squeeze chute. 4. 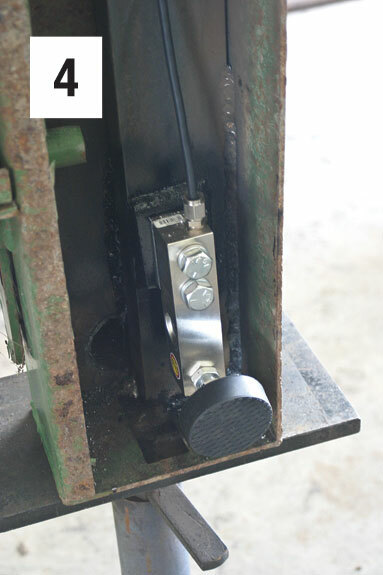 A load sensor attached to bottom of squeeze chute. 5. The connection for cable from indicator. Photos courtesy of Robert Fears.